From Chitina, we drove on Richardson Highway towards Valdez, 120 miles (193 kms) away. 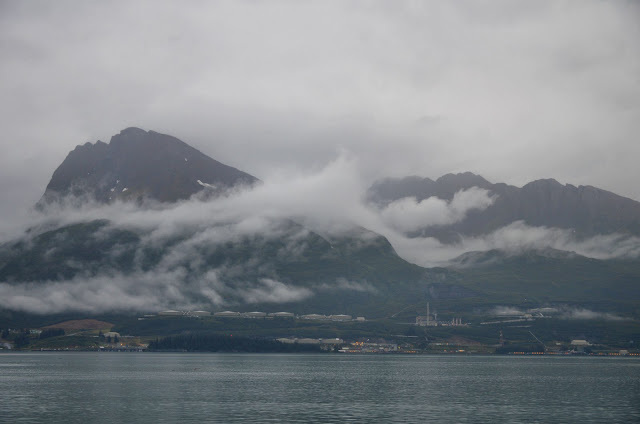 It was supposedly one of the most scenic highways in Alaska but the rain and the clouds kept most of the snow-capped mountains hidden. Ma Nature obviously was in charge of the show and there's nothing we can do. To keep our spirits up, Dave had us play the 'temperature game', making guesses of the current temperature based on the van's reading. All of us guessed in the lower to mid 40's. Incredibly, it was in the upper 40's - at 49 degrees Fahrenheit! We may be feeling colder than what the thermometer feels but the sight of a retreating glacier gave us a reality check. Just very close to Richardson Highway is Worthington Glacier. For the last 150 years, this glacier has been steadily thinning. It even became the subject of a research funded by the National Science Foundation which aimed at studying the dynamics of ice flow in relation to global warming. It's an alarming scenario that unfortunately is happening in many areas, from Bolivia to Switzerland. See the glacier's smiley face? The tiny dots visible in mid upper section are actually hikers! 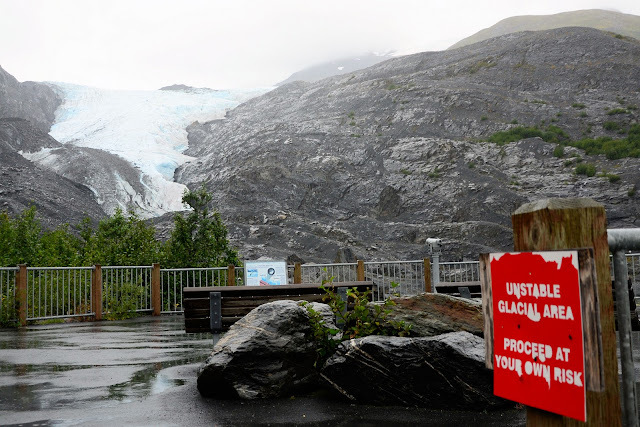 Worthington Glacier is part of what's called the Worthington Glacier State Recreational Site. A bit to the south of it is the Thompson Pass, considered Alaska's snowiest spot which averages a whopping 551.5 inches of snow during winter. On our approach from the north, the glacier is already visible. There's a road leading to the car park (with outhouses thankfully) from where visitors can take a short stroll into the viewing deck. The foolhardy has the option of going up the Moraine Trail for a longer look. We didn't have much time as we needed to reach Valdez before dark but we managed to walk past the viewing deck and into the glacier terminus. Jagged blue ice was all around as we came through some cracks, considered dangerous at this point. There was this huge overhang that was just ready to collapse anytime. We could clearly see how fast the ice is melting and at that rate, I'm not surprised if Worthington Glacier won't look the same even if we come back next year. Back on the highway, between miles 14 and 17, huge vertical walls hemmed both sides of the road. Called the Keystone Canyon, the only reason motorists briefly stop here is to gaze at two waterfalls - the Horsetail Falls and the Bridal Veil Falls. In winter, these two cascades are frozen enough to become a playground for ice climbers. It was almost 6 PM by the time we reached Valdez (pronounced val-deez), an ice-free port town that's been referred to as the "Switzerland of Alaska". It is here where the oil pipelines from Prudhoe Bay in the north terminate at the Valdez oil terminal and where oil is loaded unto tankers for distribution elsewhere in the US. Managed by the Alyeska Pipeline Service Company, the oil terminal is one of the town's biggest employers, thus benefiting the locals tremendously. Two events that put Valdez on world news were unfortunately tragic: the 1964 Good Friday Earthquake and the 1989 Exxon Valdez Oil Spill. The magnitude 9.2 earthquake was so severe that part of the old town's shoreline sank into the sea. It took three years before local residents eventually moved into the town's new site just 4 miles away. 25 years later, a big tanker named Exxon Valdez laden with crude oil was on its way out to California when it hit a reef and ran aground. Massive amounts of oil spilled into pristine Prince William Sound, now considered one of the world's most devastating environmental disasters. Dave drove us to our designated campsite at Valdez Glacier Campground which is close to, well, the Valdez Glacier. Despite the rain, or rather because of it, we quickly erected our tents. Shelter after all is a basic human need. The campground has the added benefit of toilets and bathrooms, although it required a bit of walking from where our tents were. The very next day, one member in our group spotted a brown bear, giving us a sense of what lurks behind the bushes and the trees. Between kidney stones and bears, I'd rather hold on to my urine. Before going to dinner, Dave brought us to the Crooked Creek, a site that's managed by the US Forest Service. What's there to see from the viewing platform are pink and chum salmon that have returned from the sea in order to spawn or reproduce. As nature has intended, the fish eventually die right there after spawning, a scene that's really heartbreaking no matter how I enjoy eating salmon. In the shallow waters of the creek, the fish can be seen struggling yet hopeless. The carcasses end up becoming the meal of bears and gulls. A wild salmon has an incredible life cycle. They go through stages after being hatched in the streams, living there until they migrate into the ocean where they mature between 1-8 years (depending on the species). After traveling for thousands of miles in the open sea, they return right into their natal streams in order to spawn and die. Never mind if most of the salmon I've had in New York were farm-raised, my view of this creature will be never be the same again. For dinner, we all shared a table at Totem Inn's Restaurant. The ambiance was so very Alaskan, filled with a stuffed wolf, bear and some other animals. A crackling fireplace completed the homy appeal. Despite the fishy encounter earlier at the creek, I opted for their 'Valdez Seafood Pasta' which came loaded with halibut and shrimps. Downed with some local Alaska brew, our first dinner in Valdez was better than expected. It was dark and still rainy by the time we drove back into the campground. The warm shower was waiting but "nah, I'll do it in the morning" was the only excuse I could utter. Or perhaps, being mauled by a bear was just a terrifying thought . As the pitter-patter of raindrops fell on my tent with me lying snug in my sleeping bag, I thought of the many times I came home stressed from work and missing this exactly - just being in the outdoors. Alaska and it's abundant liquid sunshine at work here. Amazing landscape. I truly like the itinerary here, although the camping part doesn't sit so well with me :) Too cold to camp, my opinion. Ang cute ng smiley face! Awesome glacier! That's one experience I have in my bucket list that needs to be crossed off! Camping even when it's cold works well for me as I tend to sleep better haha! Better do it soon before it's gone. I hope I get to see these magnificent glaciers in their pristine form before it's too late. aaaww ok. so from now on, everytime kakain ako ng baked salmon, maiisip ko ang life cycle nila. anyway, meron kang raincover/raincoat for your camera? effective ba yun o pwede ng improvised? naku po, how I wish milyonaryo na ako - ang dami ko pa yatang di napupuntahan. I'm beginning to think we're in a cycle as far as climate change - something interesting I read in National Geographic. surreal! now i hope all parts of the world is just one island. siguro kung ako din nasa ganyang kalamig na lugar, ipapagpa-bukas ko na lang ang paliligo, hahaha! i love that smiley glacier shot! at bigla akong nagcrave sa pasta mo, dennis. di lang dahil sa malamig, yung bear pa ang kinatakutan ko hehe! 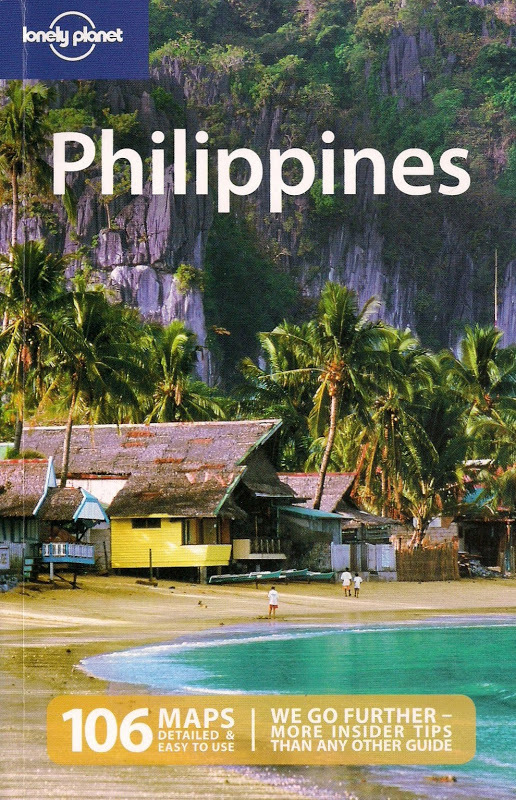 This kind of trip is down my alley, lalo na yung camping in the rain. I did it last in Vancouver Island, B.C. but never again since then. You reminded me of what I'm missing. I'm sure you can always go back camping Bert - it's something anyone, young and old, can do. What about another honeymoon in the wilderness with the wife?